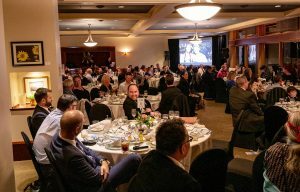 On Tuesday, November 6, 118 guests turned out in support of the 5th Annual Chef’s Charity Dinner at the Beach Grove Golf Club in Tsawwassen and raised $47,163 for Dan’s Legacy. The funds will go towards the charity’s counselling and life-skills programs for youth affected by trauma-based mental health and addictions challenges. CBC Radio Host Angela Sterrit was the evening’s MC, and “Mr. Gala” Fred Lee returned to lead the live auction. 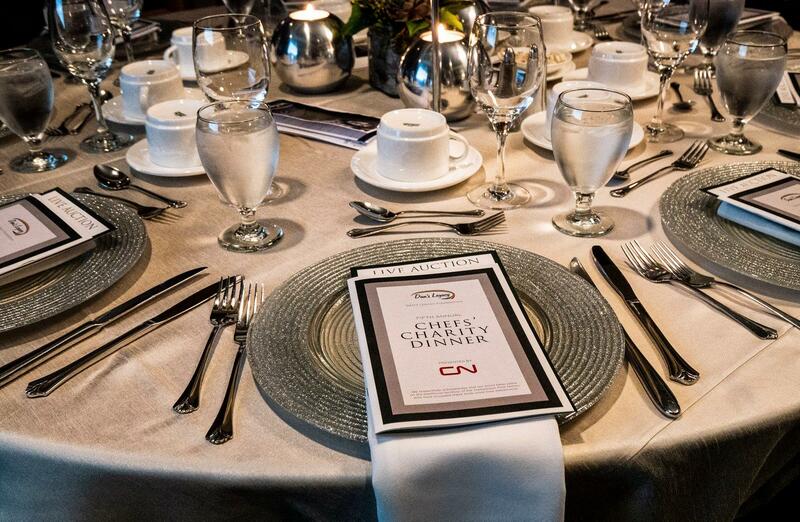 Executive Chef Froilan Alejo (Beach Grove Golf Club), Chef Shay Kelly (The Caterer), Chef Bruce Nollert and Chef TJ Conwi (Ono Vancouver) and Pastry Chef Vanessa Trotte (The Caterer) created the entire signature menu using only recovered food. 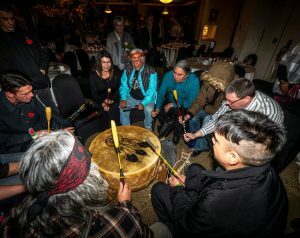 Special guests included: Delta Mayor George Harvie, Delta Police Chief Constable Neil Dubord, Delta Councillors Dan Copeland and Dylan Kruger, members of Dan’s Legacy’s Board of Directors, representatives of other mental health organizations in Delta, and the drummers from Cwenengitel Aboriginal Society. 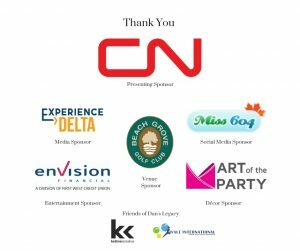 Dan’s Legacy thanks its presenting sponsor CN Rail, and gala sponsors the Beach Grove Golf Club, Art of the Party, Experience Delta, Miss 604, Envision Financial, Kettner Creative, Rivale Internationale, Stacey and Michele Greatrex who provided a matching sponsorship of $5,000, and all of the guests for their generous support of the cause. If you missed the gala but would like to support Dan’s Legacy, or if you know someone who is asking for help, please contact Tom Littlewood (Program Director) at 604-999-9136 or tom@danslegacy.com, or Barbara Coates (Executive Director) at 604-329-9186, or barb@danslegacy.com.